The 50-year monopoly franchise agreement between the city of San Diego and San Diego Gas & Electric is scheduled to expire in January 2021, less than two years away. The expiration of this agreement — which allows SDG&E to put its wires and other infrastructure on public property — arrives as San Diego crafts a strategy to satisfy its Climate Action Plan targets. The plan requires 100 percent renewable electric power by 2035. To secure the best new agreement, one that will support the city’s climate targets, it’s important to review the pitfalls of the current agreement. The current agreement, for example, required SDG&E to pay the city 3 percent of the gross revenue it earned from electricity and natural gas sales to residents. Yet SDG&E was successful in the 1970s in getting the California Public Utilities Commission to let it collect the franchise fee directly from customers and pass it through to the city. This sleight-of-hand has cost residents at least $1 billion to date. The existing franchise also requires SDG&E to relocate its equipment at the utility’s expense, when the city needs to place its own infrastructure along the same corridors. But as the city proceeds with its $1 billion Pure Water piping network along selected utility corridors, SDG&E is balking at paying its contractual share for moving its equipment. In fact, the utility is insisting the city pay what could reach $100 million for relocating SDG&E’s wires. The need for a restructured franchise agreement is heightened by the city’s plan to organize a regional community choice energy authority. Under this plan, a new electricity-buying authority — created by local elected leaders — will purchase power for SDG&E’s customer and determine the source of that electricity supply. In San Diego, this could open the door to far greater development of our city’s enormous solar potential. That potential exceeds 4,000 megawatts, or enough to largely satisfy the city’s electricity needs. Remarkably, it is now cheaper to go solar and deploy batteries in San Diego than stick with SDG&E’s pricey grid power. The development of low-cost batteries is revolutionizing how we should think of power supply in the city. This has huge implications for the local electric grid and our relationship with SDG&E. The business plan for the community choice energy program adopted by the City Council in February prioritizes local renewable energy to meet the city’s 100 percent clean energy target, as well as to create good-paying jobs and expand the local economy. This is the right pathway. In addition to fully tapping our solar potential, city neighborhoods and business districts can be organized into green microgrids, or energy “islands” that generate much of their own power, interconnect with the local grid to satisfy the balance of their needs and operate autonomously as necessary. In a period of growing insecurity, microgrids provide greater protection against blackouts, either from hardware accidents or malicious hacking. Far from pie in the sky, we already have examples of large-scale microgrids in the city, at UCSD, the San Diego Airport and Marine Corps Air Station Miramar. But the development of more microgrids to exploit the full potential of our bountiful sunshine requires a committed, compatible utility partner in charge of the local grid. The city currently outsources this function to SDG&E under the franchise that will expire early in 2021. With the expiration looming, now is the time to determine the requirements for a new agreement and to assess whether SDG&E is the right partner to help the city get where it needs to go. In other words, there is no reason for San Diego to accept anything less than a strong agreement with a cooperative utility partner committed to fulfilling the Climate Action Plan and strengthening our local economy. 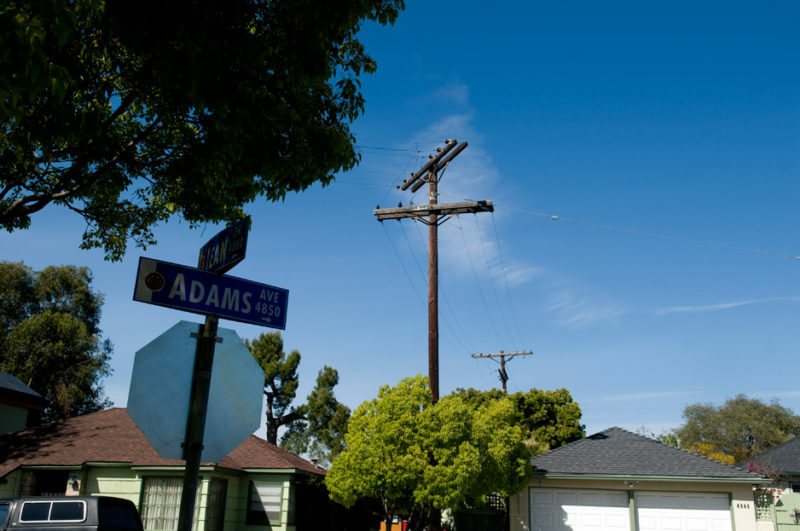 Unfortunately, SDG&E’s relationship with the city has too often been adversarial — and costly. From 2008 to 2018, the utility’s profits doubled, rising from $339 million to $669 million. This is nearly three-quarters of parent company Sempra Energy’s 2018 overall profit of $924 million. SDG&E is Sempra Energy’s cash cow. Coincidentally, SDG&E’s customers — that’s all of us who live in this region — now pay among the highest electricity rates in the nation. At a time when the city needs big-picture thinking, teamwork and innovation, SDG&E has largely played the role of Ebenezer Scrooge, preoccupied with boosting its profits. Getting to the best agreement, for the city and its future, will require top-quality, independent technical and legal advisers. If the city is to remain serious about satisfying the legally binding Climate Action Plan, the upcoming negotiations for a new franchise pact must be anything but routine. If past performance holds, SDG&E will approach the negotiations with the best team it can afford sharply focused on a single objective: retaining monopoly control of the city’s electric grid at highly favorable terms. Given that the soon-to-expire agreement has had a 50-year duration, the upcoming negotiation for a new deal may be an opportunity that comes just once in most of our lifetimes. If we are going to allow a for-profit utility to use our streets, sidewalks and parkways for electric service, let’s get the best deal for our city, for future generations and for the environment. Use of city property for a vital service like electricity is everybody’s business. Bill Powers is principal of Powers Engineering and chairman of California Local Energy Advancing Renewables. He is also on the board of directors of POC. Jay Powell is a member of San Diego’s Sustainable Energy Advisory Board and a former executive director of the City Heights Community Development Corp.